Monarch Mountain is one of the largest and most efficient ski rental shops in Colorado. With up to date skis from HEAD, and a state-of-the-art fitting system, getting on the slopes has never been faster. We also have Never Summer Boards and an array of choices of some of the industry's best including: K2, Volkl, and Salomon. Better yet, your skis are on site and can be stored overnight for free. Don't lug stuff from other places and hope nothing goes wrong. The right thing is right here. Already have skis or a board? We got you covered. 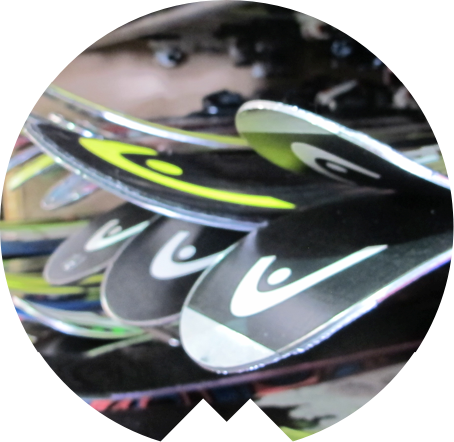 *All standard skis and snowboards are suitable for beginner to intermediate skiers. Advanced skiers may prefer High Performance or Demo sets. Demo sets allow you to try several different models throughout the day. Demo sets you to try several different models throughout the day. Pants and jacket rentals are available at The Outer Edge—our gear and gift shop. ($2 day use / $5 overnight) to secure your equipment to any designated outdoor rack. You can purchase an equipment lock at the Outer Edge Gear & Gifts. Overnight storage for Monarch Mountain rental equipment is free. 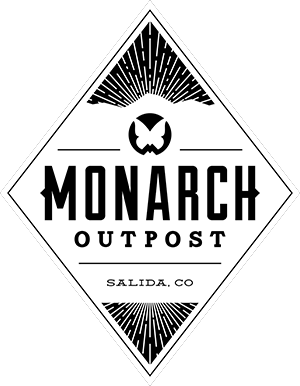 Monarch Mountain is not responsible for lost or stolen equipment. We have representatives that can assist you in every step of the process, from check-in to final payment. Making reservations 48 hours in advance is recommended, especially during peak times. Visit skimonarch.com or call 719.530.5196 (8 a.m. – 4:30 p.m., 7 days a week) to make reservations or for more information. Please have the height, weight, shoe size, and skier type (ability level) ready for each person renting equipment. Don't know your skier type?